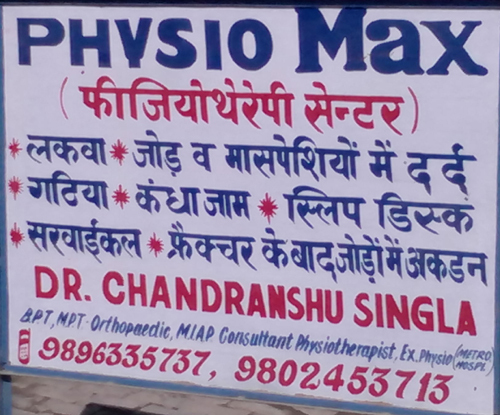 Physio Max Palwal is a physiotherapy centre in palwal. Dr. chandranshu Singla B.P.T. M.P.T. Orthopaedic, M.I.A.P consultant physiotherapist, Ex Physio(Metro Hospital).